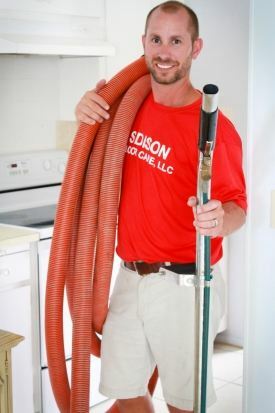 I’m Mark Hopkins Owner of Sidison Carpet Cleaning and Floor Care, LLC. Whether it is your home or business, the flooring system that you choose, if maintained properly and regularly, should last decades. We offer maintenance agreements to our clients to ensure the longevity of all of your flooring. With the new technologies and products in the flooring industry, it is the belief of Sidison that our employees should be trained in the most up to date cleaning processes. Sidison Employees goes through a strict 90-day training process and then moves on to train with “Clean Trust”, our industry's certifying agency. This training will include; Carpet Cleaning Technician, Intermediate Stone, Tile, and Grout Technician, Upholstery Technician, Odor Control Technician and Spot Removal Training. Sidison is also under the belief that you should not just let anyone into your home. Due to this we run and maintain background checks and have a strict “NO” Drug Policy. At Sidison the protection of your personal property is our first priority and that is why it will always be the first step in all of our cleaning processes. When our Technicians first enter your home they will start the protection process by covering or moving rugs or furniture that could be damaged by chemical or hoses. They will also place guards on all wall corners that our hoses may come in contact so we do not damage paint. Flooring and thresholds will be protected with plastic and runners. Furniture that is moved will be moved on sliders or in a manner suitable so it will not damage it in any way.